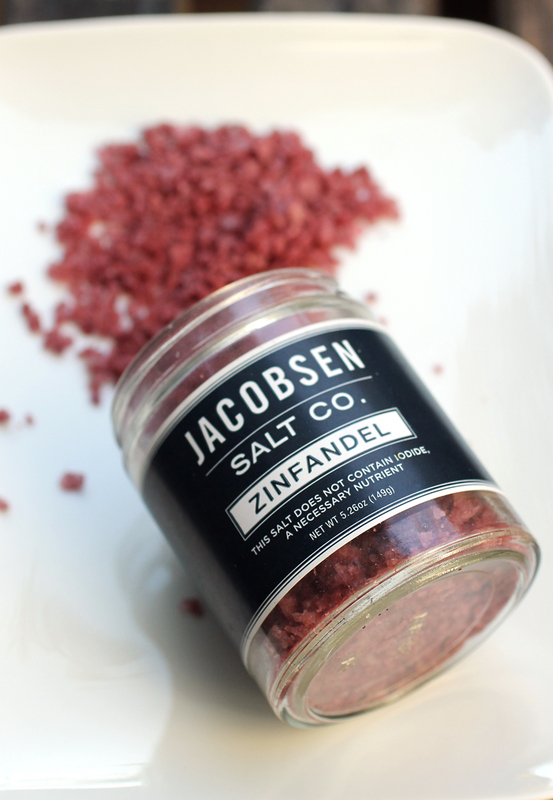 A Visit to Jacobsen Salt Co.
Jacobsen Zinfandel salt, made with Clif Family wine. Netart, OR. 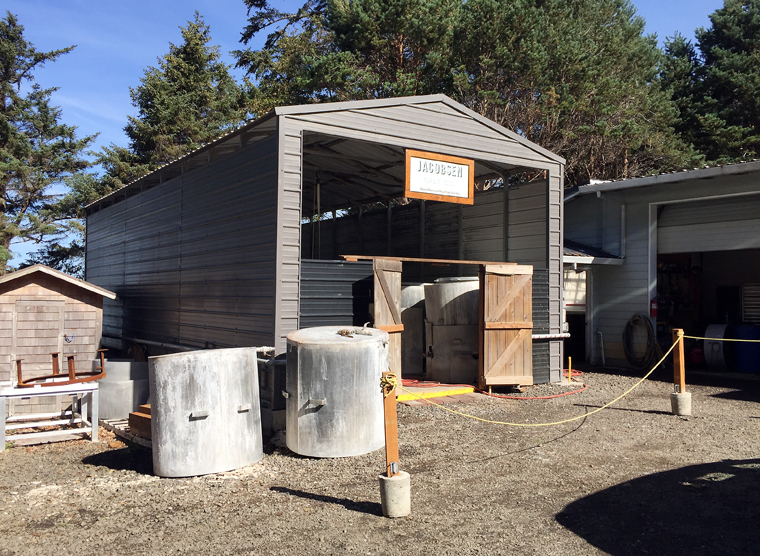 — Would you believe the artisan salts that have taken the chef world by storm are made in this bare-bones facility? 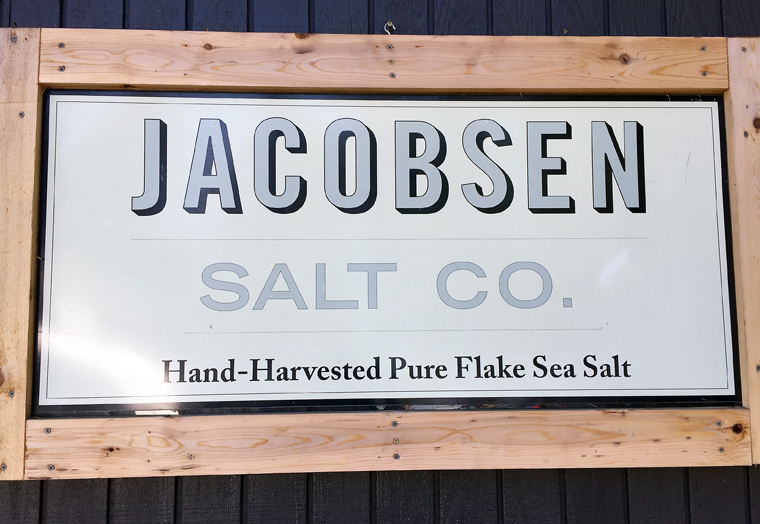 Jacobsen Salt, the first company thought to harvest salt in the Pacific Northwest since Lewis & Clark, is beloved by such acclaimed chefs as Matthew Accarrino of SPQR in San Francisco, April Bloomfield of New York’s The Spotted Pig and The Breslin, and Chris Cosentino of Cockscomb in San Francisco, Acacia House in St. Helena, and Jackrabbit in Portland. 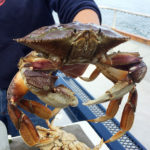 They love its big, light, crunchy flakes that have a clean, pureness of flavor. The shed where the salt water from the bay is boiled. 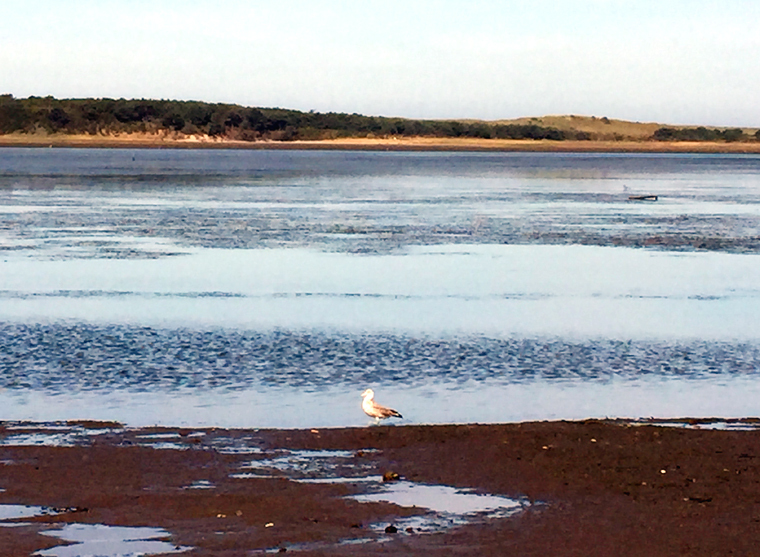 Netarts Bay is just steps away. Twelve employees run this operation 24-7 to produce 16,000 pounds of salt a month. Although Jacobsen’s facility is not usually open to the public, Tom Gibson, director of coast operations for the company, was happy to give a tour to our small group of media a few weeks ago. It’s no coincidence that the company is located here. 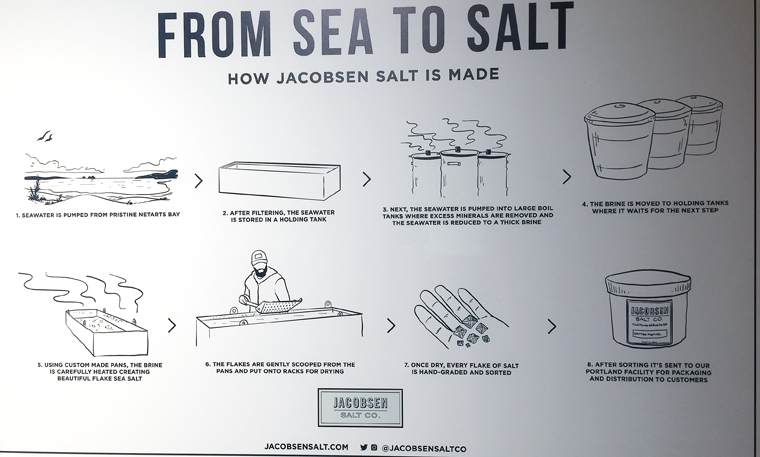 Founder Ben Jacobsen got bitten by the salt bug after discovering Britain’s famed Maldon salt while he was studying for an MBA in Scandinavia. When he returned to the States, he started experimenting with making his own salt. After testing waters in various locations, he found that Oregon’s Netarts Bay was ideal. Jacobsen, who started the company six years ago, was lucky to take over what was once an oyster processing facility that already had a pipe into the bay and licensing by the Oregon Department of Agriculture. The pump house pumps water into holding tank. The water is then boiled to concentrate the brine. 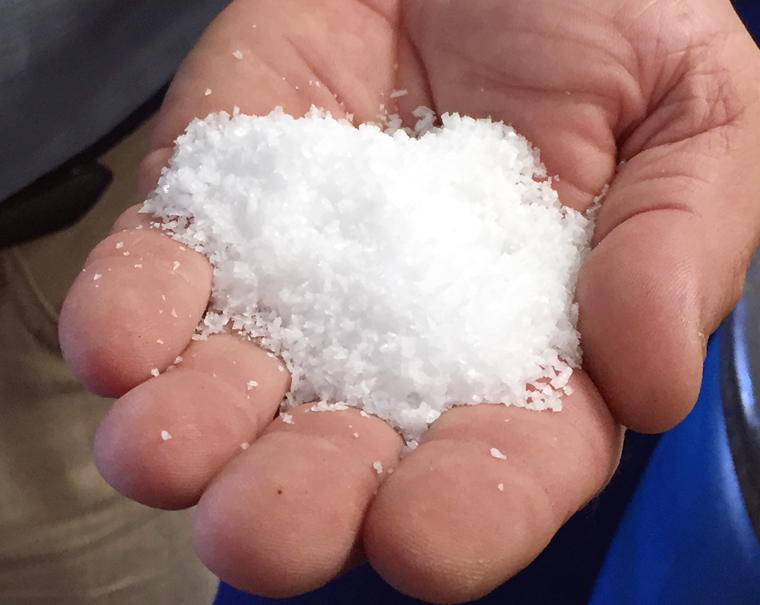 Next, the brine is heated to create flake sea salt, which is dried before being packaged. 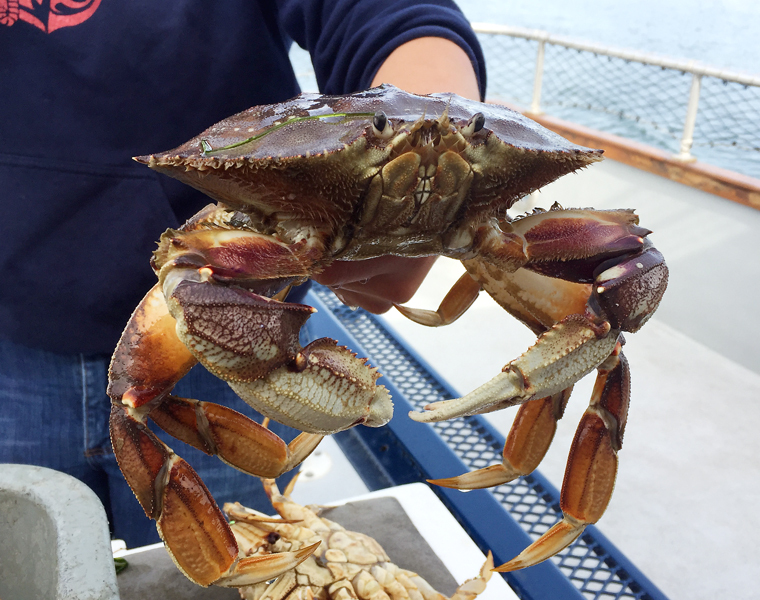 It’s a 10-day process from sea to table. 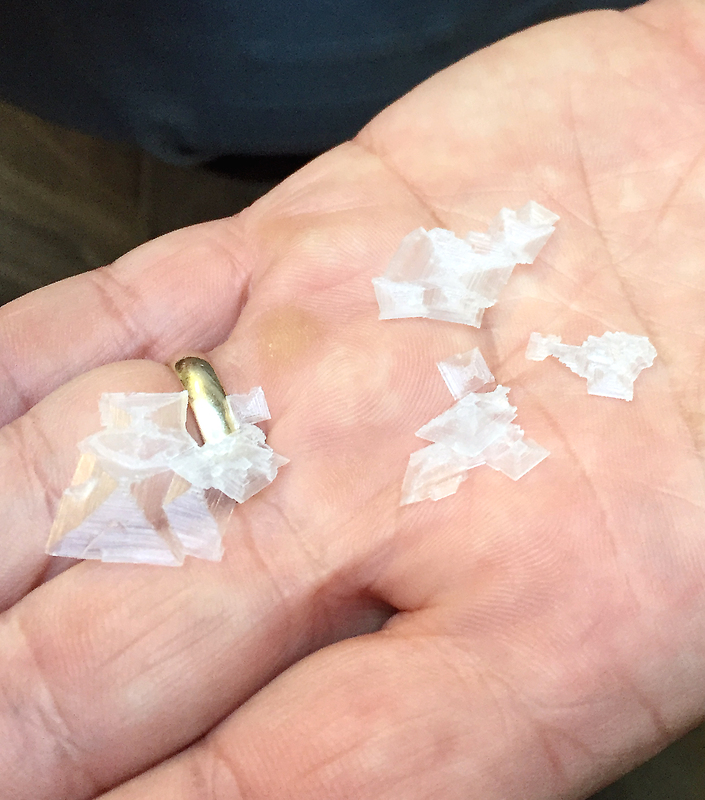 Freshly hand-harvested salt that’s not even fully dry yet. It is light as air. 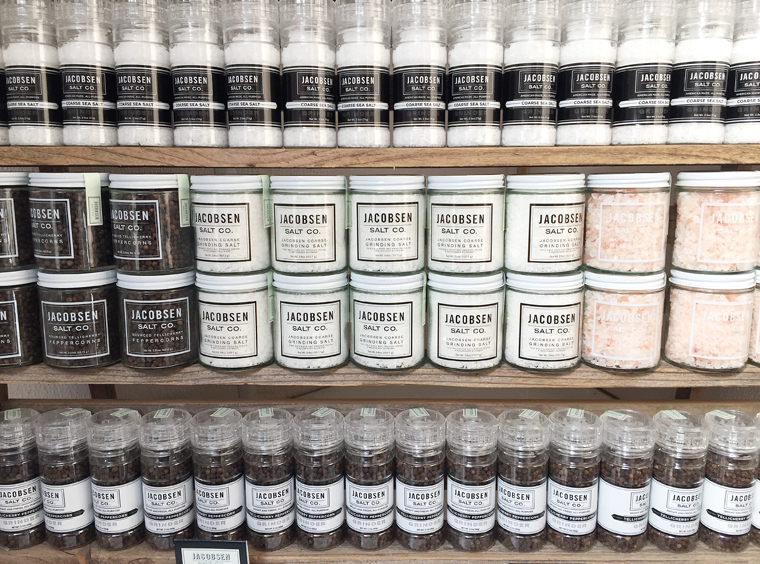 In addition to its regular finishing salt ($4 for a 12-ounce bag), Jacobsen also makes a dozen flavored salts, including Infused White Truffle Salt ($35 for a 3.5-ounce jar), Infused Ghost Chili Salt ($12 for a 3.5-ounce jar), and Infused Vanilla Bean Salt ($13 for a 3.5-ounce jar). 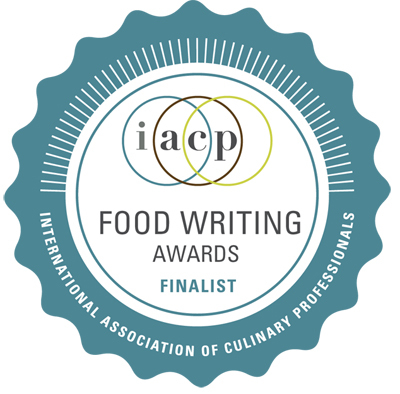 My new favorite is its Infused Black Garlic Salt ($12 for a 3.5-ounce jar), which is made with black garlic that the company roasts slowly for three weeks. 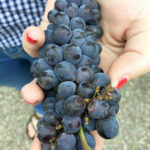 It’s an umami bomb and just sensational sprinkled over heirloom tomatoes, grilled mushrooms or steak. 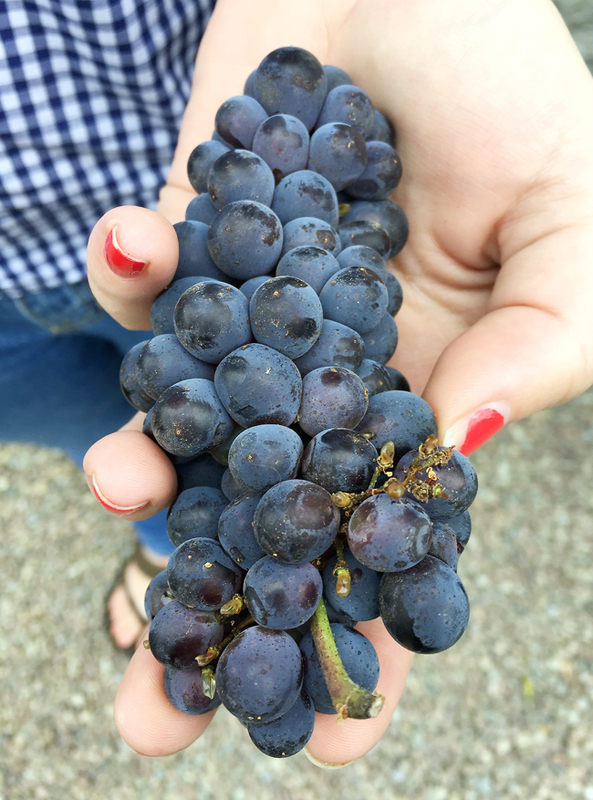 It makes anything it touches taste meatier, earthier and more caramelized. Jacobsen’s also produces raw, single-origin honey and chili-pepper infused honey, having purchased a small Oregon company that was about to go out of business. The process explained in a framed illustration. 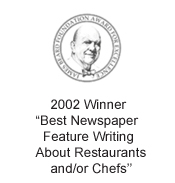 Find the full line of salts at gourmet retailers such as Williams-Sonoma, as well as on Amazon. Wonderful gifts sets are also available on the Jacobsen site. There, you’ll also find irresistible salty-sweet confections such its Salty Caramels and Salty Honey Nut Chews. One taste will have you looking salt in a whole new way. Jacobsen is everywhere! 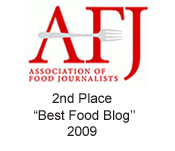 So amazing to imagine it’s only six years old.